Going into Last Week Tonight with John Oliver, what we really wanted more than anything was to see the show open with the host completely nuking Bob Murray and Murray Energy after seemingly emerging victorious in the lawsuit. Was that really too much to ask? Thankfully, Oliver delivered on precisely what we wanted — as much as he could. He was able to bring back Mr. Nutterbutter — the giant seven-foot squirrel — in order to send another message to Bob. What was that? “Eat s–t Bob,” basically the same message that he sent last time. It was a way to taunt Murray over the lawsuit, but he wasn’t able to say too much more. Alas, at present the lawsuit is not officially finalized just yet. Hopefully, it will be over the coming weeks. Oliver promised that there will be an update at some point in the future. We imagine that whenever that comes, it’s going to be epic. The coal lawsuit was notable given that this was the first time in which that Oliver had been publicly sued by someone he discussed on the show. This was a lawsuit he did see coming — he even talked about its impending arrival — but there was still a chance that it wouldn’t happen. The problem here, as reported previously, was that there wasn’t seemingly enough of a case here. We do understand why Murray was upset, but HBO expressed confident that they would win this suit from the beginning. We just hope that whenever the suit is officially over and done with, we get more than just a one or two-minute update on the subject. We’re thinking more along the lines of at least a few minutes devoted to the issue. 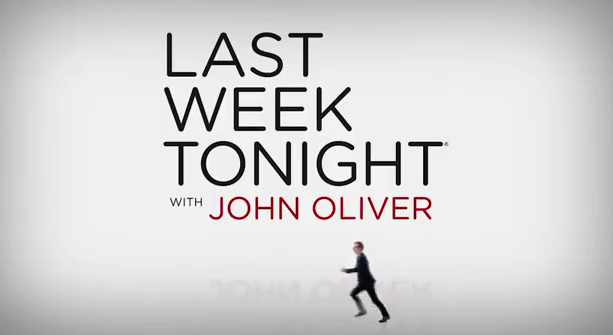 What did you think about this particular segment of Last Week Tonight with John Oliver? Share now in the comments!